I like people, and I like talking. So why does thought of small talk make me break out in a cold sweat and want to hide in the cupboard? Well, it's the inane chitter chatter, the pleasantries, the polite prattle that I hate. It's the conversational equivalent of twitter - no chance to get stuck into a conversation about anything important or interesting. That, and the fact I am RUBBISH at small talk! My mind goes blank, I say something wildly inappropriate, I stutter and laugh loudly, snorting for good measure, Then, I quietly die inside as I wait for the floor to swallow me up, which it NEVER does, just proving that floors are evil. Small talk doesn't have to be a nightmare: let's re-frame it. 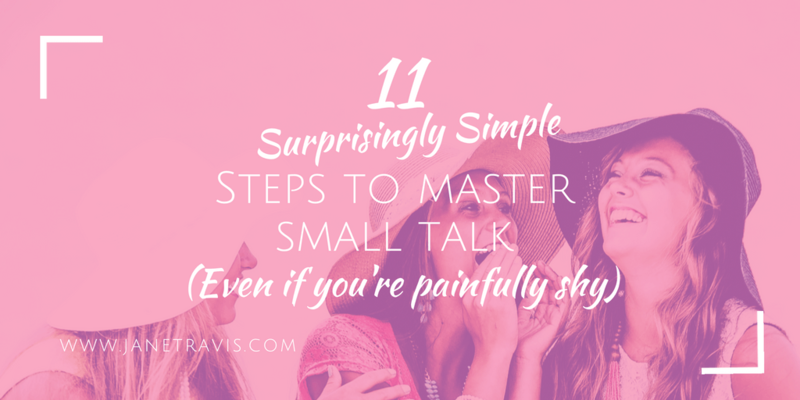 Why put yourself through the living hell that is small talk? Remember the old saying 'There's no such things as strangers, just friends we haven't met yet'? Well it's corny, but true. Those terrifying strangers could go on to be friends - now wouldn't that be amazing? Every friend you have was once a stranger, and you only found out that they were interesting, funny and great to have around by talking with them, finding common interests​. It all started with tentative conversations weighing each other up. Let's not miss that opportunity, let's make each small talk filled conversation be the best it can be, and see if it leads to friendship. Feel nervous before the event? 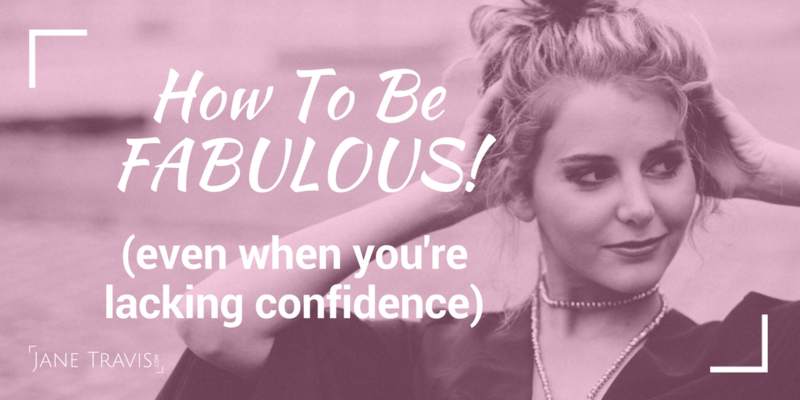 Ring a friend, have a chat and allow them to remind you that you are fabulous and that everyone will love you. Upbeat music is guaranteed to put you in a good mood too! 2. Go steady with the Pinot. Alcohol gives you dutch courage, but also reduces inhibitions. Save being squiffy for time with friends,​ because day after flashbacks are a nightmare you don't need. 3. Put your phone away. Checking your phone might be a handy distraction, but it makes you look unfriendly, unapproachable and rude. Unless you get an urgent call, leave checking your phone to bathroom visits. ​If you're shy, your internal commentary will be 'OMG, I don't know what to say, I'm going to look such a fool, I just pronounced that word wrong I'm sure, I bet people are laughing at me - oh this top's too small, the buttons are gaping and people can see my bra, I'm so embarrassed' etc etc. Did you notice that the focus is YOURSELF?! The easiest way to get over your shyness is focus on other people. Concentrating on them stops you fixating on yourself, and reduces stress. I once did an amazing training exercise: I had to sit facing someone and look into their eyes whilst the trainer talked to us. We were asked to imagine the other persons life - the circumstances of their birth, celebrations of milestones - first word, first steps, birthdays, starting school, pets, boyfriends, celebrations and losses. It was a very intense experience, encouraging me to really see the other person as an individual with a history, hopes, dreams, fears. Don't panic, you don't have to do that! But do be aware that whoever you're talking to is a unique individual, and allow yourself to become curious about them and their life. Let your interest show. Firstly, it's important to remember that 97% of people hate small talk. Okay, I totally made that figure up, but i'm sure it's not far out. So when at an event, remind yourself that you are in a room full of terrified people, and make it your mission to help others through their ordeal. Make their well being and comfort your focus, and take the spotlight away from yourself. ​ Try it - it really works! ​A good ice breaker is to pay a compliment. 'Wow, amazing shoes!' is great. Unless you're chatting to a bloke, they don't care much for shoes. Make sure your compliment is ​genuine though, fake compliments are easy to spot. We all have experience of these topics, so are great ice breakers. Us shy folk are often so focused on ourselves, we kinda forget to listen to what's being said. So if your mind becomes full of 'OMG what will I say next? ', take a deep breath and LISTEN. Then you can participate in the conversation. Asking other people questions is a great way to get the conversation started, but if you only ask questions they will feel interrogated. Conversations are a two way street. They will want to learn about you, so be prepared to share with them. ​This is NOT the time to share your political or religious views. Steer well clear of any sensitive topics. After you've spoken for a while you'll want to end the conversation and move on. Let the person know that you have enjoyed the conversation (making them feel important). Pick on something your found interesting and reference that - 'I really enjoyed hearing how your cat really can understand you, I hope we can chat again soon'. With a little re-framing and preparation, small talk changes from mundane to memorable, and becomes a chance to meet new friends. 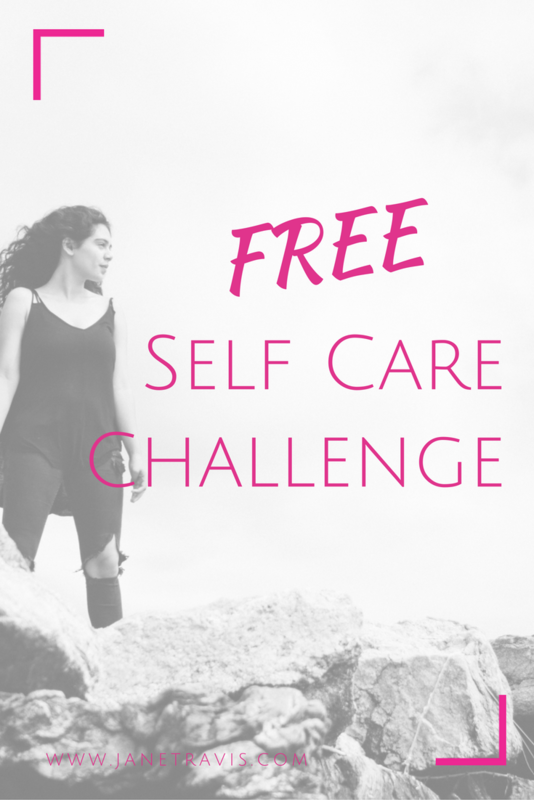 Take my FREE 21 day Self Care Challenge, designed to kick start you into prioritizing your wellbeing and starting a regular self care habit. Written assuming you're busy and on a budget, it's simple, highly effective and fun!